(Print) FAHRENHEIT 451: 50TH ANNIVERSARY EDITION. Los Angeles (2004) SIGNED Limited Deluxe Lettered Edition. Copy N/Z of only 52. 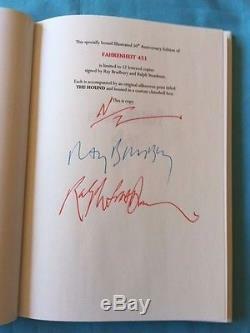 SIGNED by Ray Bradbury & Ralph Steadman on colophon. Fine in quarter black leather with marbled boards in a fine dj. 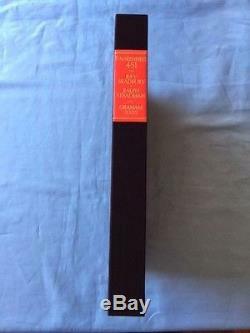 Laid-into a black cloth clamshell box with red printed spine label. 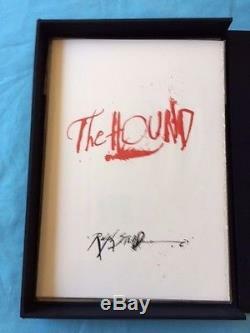 Includes artist Ralph Steadman's SIGNED Limited print entitled "The Hound" which is also double lettered N/Z, and comes in a specially produced folder. 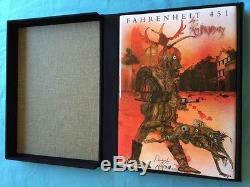 The item "FAHRENHEIT 45150TH ANNIVERSARY ED. BY RAY BRADBURY" is in sale since Monday, September 07, 2015. This item is in the category "Books\Fiction & Literature". 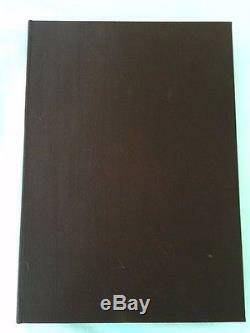 The seller is "waverlybooks" and is located in Santa Monica, California. This item can be shipped worldwide.